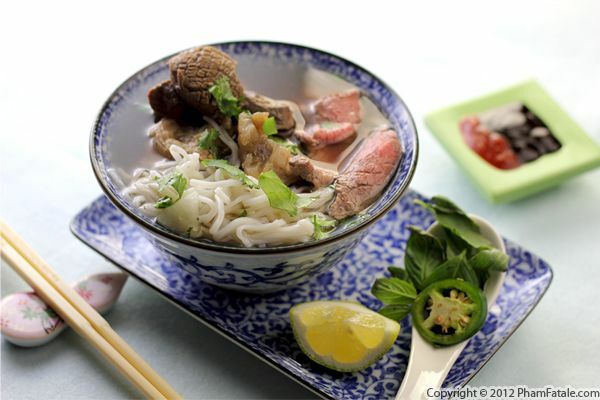 If you're a beef and seafood lover, this Vietnamese-style beef hot pot recipe is for you. 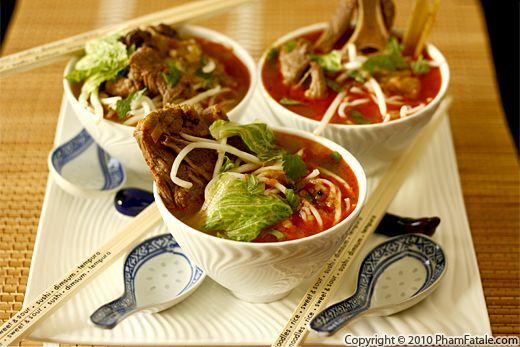 Bỏ nhúng dấm (literally beef dipped in vinegar) is the Vietnamese equivalent of the Japanese dish called shabu shabu, but with additional seafood ingredients. The broth is made with coconut soda, chopped onions and tomatoes. 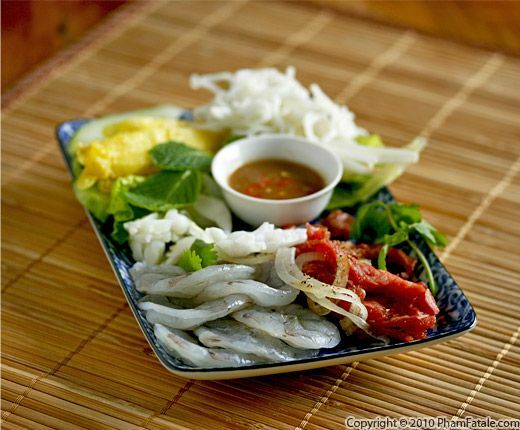 On a separate platter, gather the raw beef, shrimp, baby squid and octopus, fresh pineapple, cooked rice noodles, bánh tráng (dried rice paper sheets) and various aromatic herbs. The prep work is quite labor-intensive; you have to have a lot of company to make the meal worthwhile. The more, the merrier. 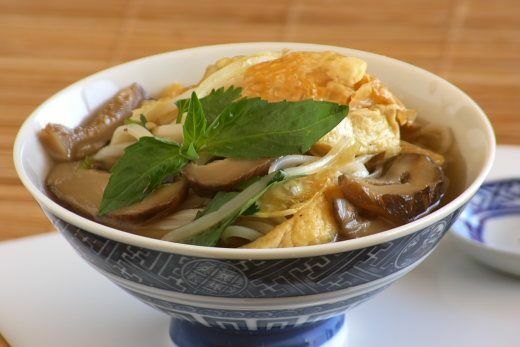 Place an electric hot pot in the middle of the dining table and let everyone dip and cook the beef and seafood in the fragrant broth and assemble their own rolls using the rice paper sheets. Dip the rolls in mắm nêm dipping sauce. It's made of fermented fish paste, which is very strong. If fermented fish paste is too overwhelming, you could ultimately use nước mắm chấm (fish sauce) or soy sauce (nước tương chấm) for a milder flavor. Vietnamese beef hot pot is a very festive meal because it's fairly expensive and quite time-consuming to prepare. It's what one of my uncles would call "đặc biệt", or "only for special occasions" in English. On my Papa's side of the family in France, all my cousins (including me) married non-Vietnamese spouses but I can guarantee you they all know the meaning of the word "đặc biệt" (which means special). Whenever, we're invited to my uncles' homes, they offer a lot of đặc biệt meals. 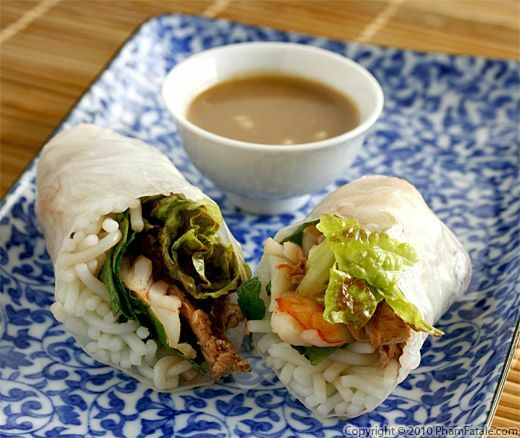 "Lulu, it's đặc biệt, you should try this, it's delicious!" as one of my uncle always says to my husband. So this recipe is dedicated to my uncle François, whom I call Chu Bay (Uncle #7. He's Papa's 7th brother and that's how you show respect in the Vietnamese tradition). 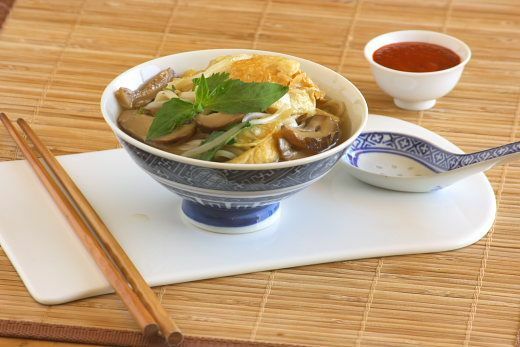 It's perfect for a winter meal and just in time for the Chinese New Year, which is coming very soon.